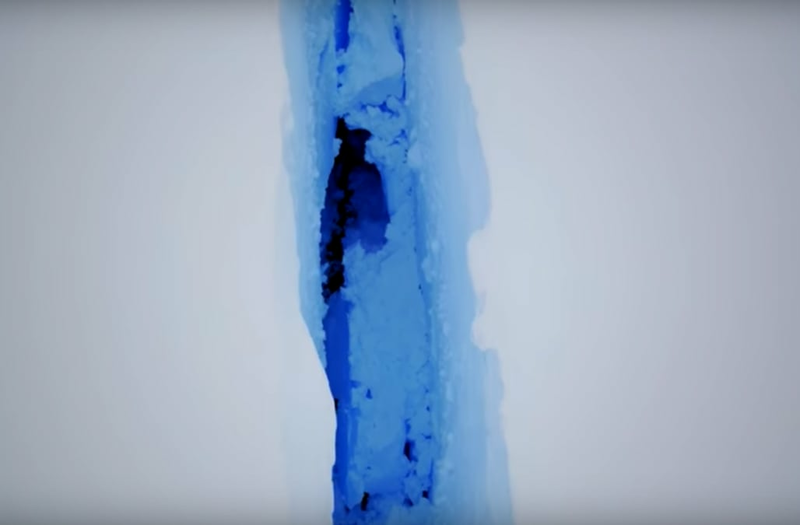 In late October, researchers discovered yet another giant crack extending across Antarctica's Brunt Ice Shelf, reports the BBC. Video released by the British Antarctic Survey (BAS) on Monday shows the truly enormous extent of the damage. Taken from the air and by an unmanned drone, the footage captures the depth and length of the crack. It appears to extend far into the shelf and span a vast area. The video was posted on the same day a decision to evacuate the BAS's Brunt Ice Shelf research station was announced. Personnel stationed at the Halley VI facility will be moved no later than March, notes The Guardian. The station will remain vacant until at least November. At the center of the call for a temporary shutdown is the unpredictability the crack presents. If a calving event occurs, sending researchers adrift on an iceberg, safe evacuation would not be a certainty due to the area's beyond frigid and entirely dark winter conditions.